Edited by Jindong Chen . Renal cell carcinoma (RCC) is the most common type (>80%) of kidney cancer that arises from the cells of the renal tubules. Although RCC is relatively rare and only represents approximately 3% of all adult cancer, an alarming increase in incidence has been observed in the past five decades. Worldwide, approximately 150,000 new cases are diagnosed with RCC each year, and around 95,000 affected people die from the disease annually. While patients with early, localized RCC have a good prognosis, those with advanced disease (metastatic RCC) do not respond to most traditional therapeutic approaches, and survival for such patients is often less than 1 year. Unfortunately, most patients are diagnosed with advanced RCC, which causes anti-RCC treatment more challenging. Even so, with the advent and improvement of edge-cutting biomedical techniques, a significant amount of new information concerning the epidemiology, molecular genetics, immunologic characteristics, and therapy for patients with these tumors has appeared. Through the integration of molecular-based technologies, systematic tissue procurement and medical informatics, research data can rapidly be translated into useful diagnostic and treatment strategies. In fact, the increasing understanding of the pathogenesis of RCC has led to the development of novel targeted agents. New anti-RCC drugs have now been approved and commercially available, some potential drugs are also under clinical trial. Here, to provide urologist and kidney cancer researchers with updated knowledge of RCC biology, current treatment practices, and novel treatment strategies, experts from all over the world, combining their our experience, explored and reviewed the latest developments in molecular genetics, surgery, and novel therapeutic strategies for renal tumors and organized into this book Renal Tumor. This book contains 11 chapters in three parts, covering the roles of partial nephrectomy, radical nephrectomy, and laparoscopy, as well as the latest developments in molecular genetics and immune dysfunction, signal transduction, and anti-RCC drugs associated with the diseases. Also discussed are imaging and screening for RCC, its diagnosis, paraneoplastic syndromes, and prognostic factors in metastatic disease. 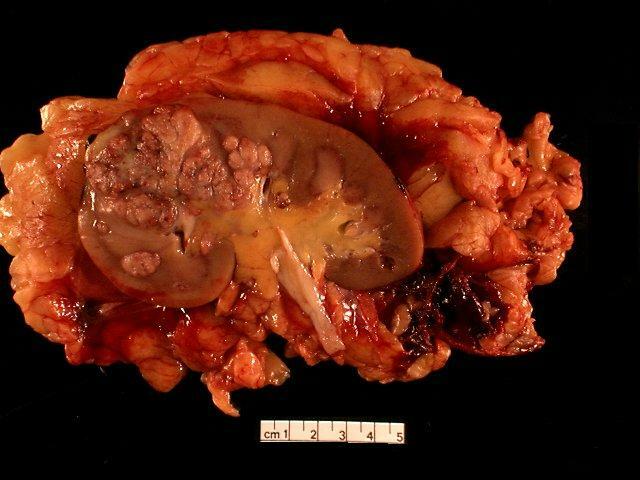 It is hoped that Renal Tumor will offer all physicians treating kidney cancer as well as researchers current practical knowledge about the nature, diagnosis, prognosis, management and treatment of this difficult disease. Finally, thanks to all the authors who have contributed their valuable time to write all the chapters. Without their efforts and dedication, the formation of this book would never be possible.